This apartment is in a great location, near the tram stop and many attractions. Richard, the owner was helpful and the staff in the adjacent restaurant (which is also owned by Richard) were happy to help with any request. I had previously lived in Edinburgh for a couple of years so I knew the area of the city I wanted to stay in. I had seen the pictures and thought the apartment looked good, but the pictures don't do it justice. It's a great place near the theatre district and about a 10 min walk from Princes Street where all the shops are. Richard was a great host who met us and showed us around and was quick to respond to any questions we had. It is also worth mentioning he has a great restaurant called the Smoke Stack which we ate in the two nights we stayed there. If you are looking for a great apartment in a great area then honestly I don't think you can beat it. I would happily recommend to anyone. Great location. Fun rental. Really enjoyed the decor. Good communication. We stayed in this quirky Parisian-feeling apartment with our three boys for two nights in January. It has loads of character and a generous living space looking out onto a typically steep Edinburgh street full of good cafes, restaurants and a lovely bakery and organic food store. Although the main bedroom was beautifully furnished, we found the bed rock hard. There was a lovely bedroom with two single beds for two of our boys but the other bedroom consisted of a bunk bed squeezed into a tiny room that felt like a cupboard and also stored the washing machine. The apartment’s wooden floors looked beautiful but creaked and sloped. There is a lovely restaurant just next door where we picked up our keys. The staff are very warm and welcoming and the focus is on steak but they also do great bowls of mussels and veggie burgers. 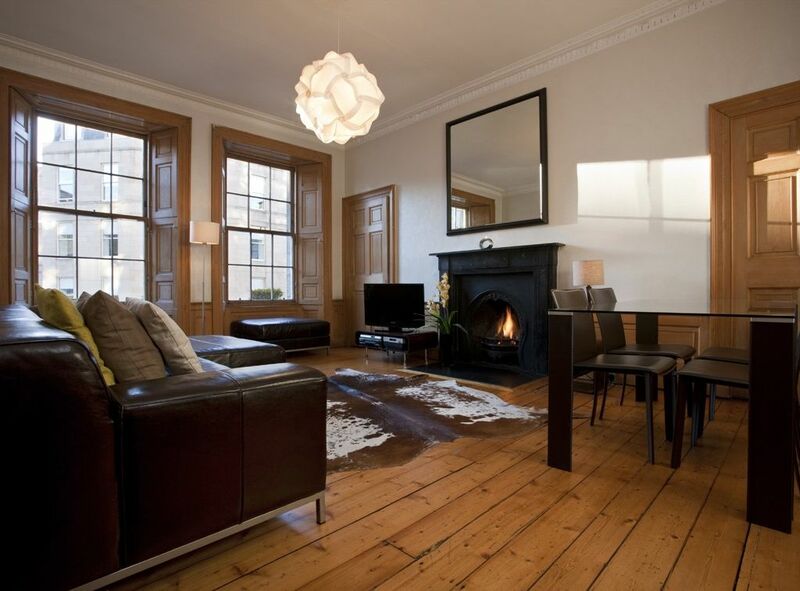 The apartment is in a great location for exploring many of Edinburgh’s sights on foot. We walked up to the castle and then down to an area near the university full of Harry Potter connections. We had a comfy couple of days stay for a rugby international weekend. A good base for getting about either on foot to Princes Street or on the tram through the city - 200m from the last stop at York Place. We ate both nights at the owners cafe bar downstairs (Smoke Stack) very busy, but good service and good food.